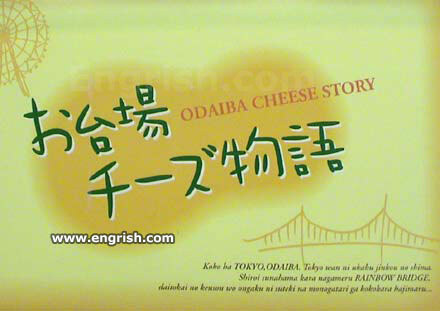 Grandpa, tell us the Odaiba Cheese Story again! (Taken from a cheese snack wrapper. Rainbow Bridge is full of cheese. It’s a really cheesy story. I know some stories that are whey better.